Product information "Gila Red Silk Scarf"
Gila is a beautiful silk scarf from our partners von Schwanenflügelpupke. An exclusive design of colourfully hand-drawn and printed multi-coloured chairs dancing on a white background with a red border. The design is comprised of a variety of design classics and period pieces. These include the Ladderback chair from Charles Rennie Mackintosh (1868 - 1928), inspired by the abstract graphics of Japanese design. A stunning array of vibrant hues, original interior design on sumptious silk from the 'Dollhouse' collection and one piece only. PS. 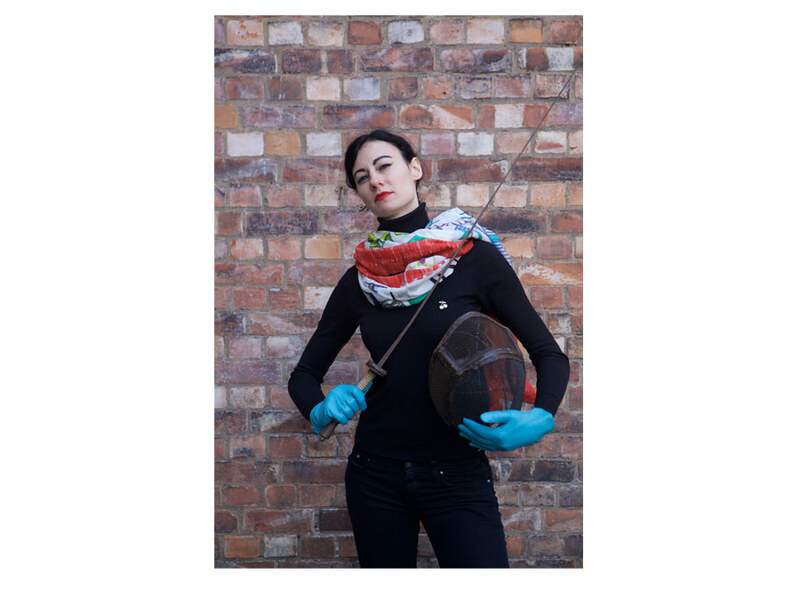 Extra tip: The wonderful size of this scarf enables you to wear it as a dress or even use it as an interior piece; a stunning table cloth for a small table or cabinet for example. PPS: This material can also be ordered in larger quantities for your interior. Contact G&H for details. 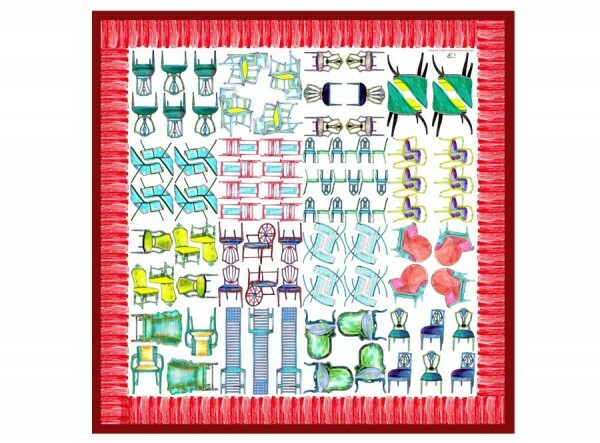 Related links to "Gila Red Silk Scarf"
Customer evaluation for "Gila Red Silk Scarf"